When “Friends” Meets “Office Space,” Where Do Workers of Color Fit? Adam Grant, an organizational psychologist at the Wharton School, has an op-ed in the New York Times that describes the decline in workplace friendships. Grant notes that compared to workers in other countries, Americans are much less likely to claim close friends at work or to see the workplace as a social space where close friendships are built. He refers to several important sociological studies in analyzing why this is so, noting that the nature of work has changed so that workers are more likely to switch jobs frequently and thus may not feel a close sense of association with colleagues. Grant references classical sociologist Max Weber’s theory that Calvinism shaped the perception of work as a place where money is made and emotions are inappropriate. Importantly, however, Grant notes that ignoring the workplace as a site where friendships can blossom may rob us of important opportunities. Jobs can become more pleasant and workers more effective when they work with friends. This is an interesting piece that has important implications for a work world that has changed significantly, and one where issues of diversity are of paramount importance. Sociologists have documented the myriad challenges that people of color encounter at work—stereotyping, tokenization, difficulty finding mentors, closed socialnetworks, discrimination, and others. Many corporations now employ diversity and inclusion officers who are hired to create more diverse workforces (though sociologists Sharon Collins and Ellen Berrey write about some of the structural, political, and social challenges that inhibit attempts to increase racial and gender diversity). Thus, in many organizations, there’s at least a written commitment to changing their workforce, even if this doesn’t always create more racial and gender diversity, particularly among the top ranks of many companies. What, then, are the implications for people of color if we start seeing work as a site where friendships can be formed? One of Grant’s points is that workplaces can foster friendships by encouraging employee alumni networks. But for students of color, college can often be a place fraught with racial tensions and complications. Emphasizing alumni relationships might just reproduce the same dynamics and behaviors that exclude racial minorities. Other sociologists like Deirdre Royster and Don Tomaskovic-Devey have also emphasized the importance of social networks in access to jobs, but again, these tend to be largely racialized in ways that marginalize workers of color. A concern, then, is that without initiatives that specifically take race into account, well-intended attempts to cultivate workplace friendships may still leave workers of color excluded, marginalized, and left out of the networks that are critical to the benefits Grant describes. However, Grant also notes other options that may be less likely to reproduce racial hierarchies in workplace friendships. He notes that LinkedIn “has encouraged employees to take their personal lives to work by hosting Bring in Your Parents Day” He also argues that research shows that “shared games and eating together are good ways to foster cooperation.” Strategies like these may conceivably be less likely to reproduce racial divides than those that emphasize alumni networks. Consequently, these initiatives may help foster interracial friendships in the workplace. 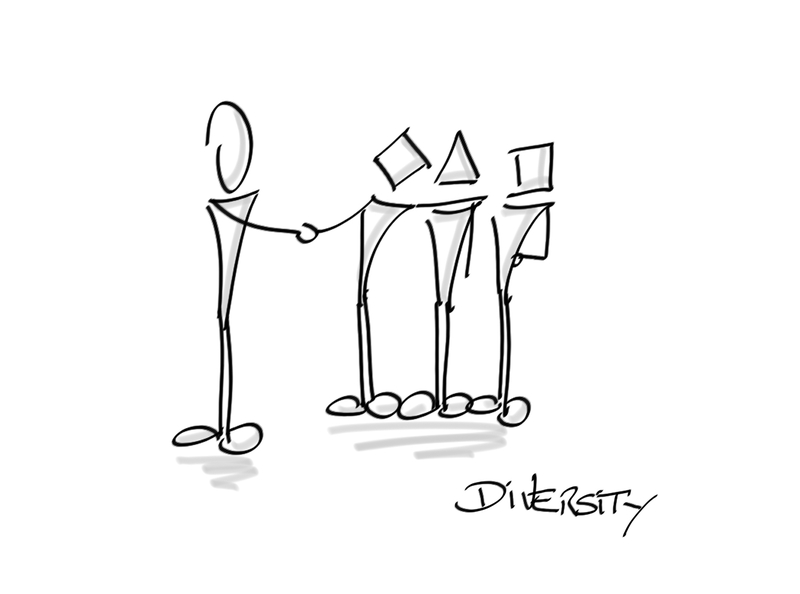 Of course, a (stated) goal of many organizations is to demonstrate a diverse work force. But strategies like these that can help build bridges across racial lines could, theoretically, go a long way towards creating more of a sense of belonging and inclusion in work environments where people of color are literally in the minority.